I made this early in the year, when the weather was still chilly enough for something hearty like this. 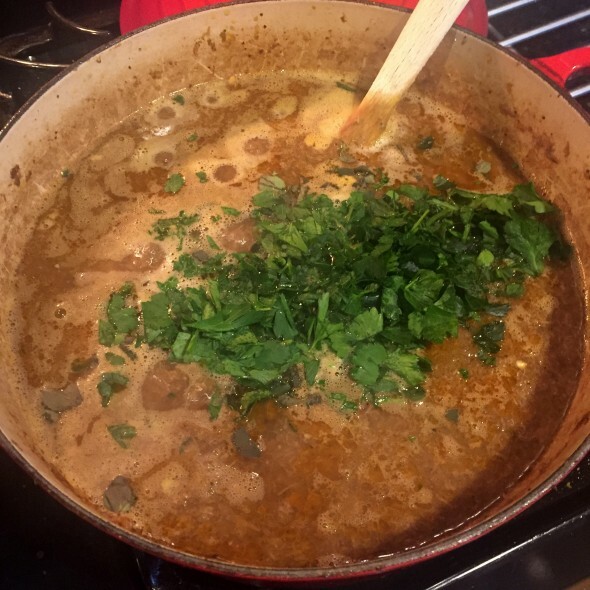 It’s a fantastic Food and Wine recipe, it can easily be made with whole wheat pasta, and it was delicious. The recipe made quite a big of pork sugo, which froze really well. We’ve eaten it a few more times since I first made this. Now that falls back, this is perfect comfort food. Season the pork with salt and pepper. 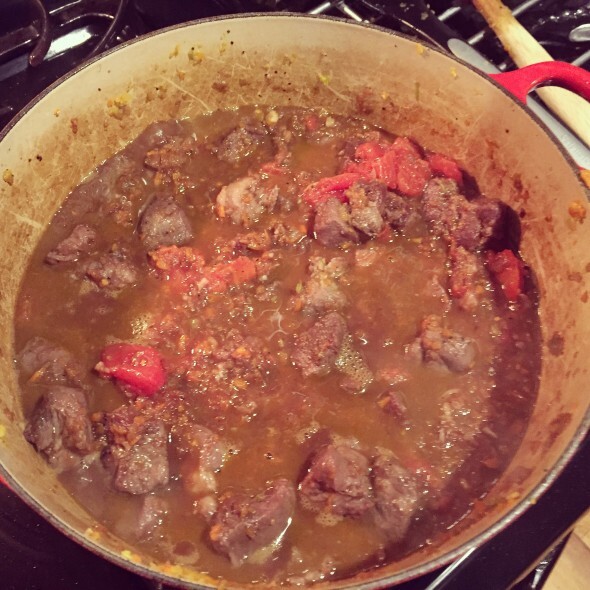 In a large enameled cast-iron casserole, heat the olive oil until shimmering. Add the pork in a single layer and cook over moderately high heat until the pieces are golden brown all over, about 12 minutes. 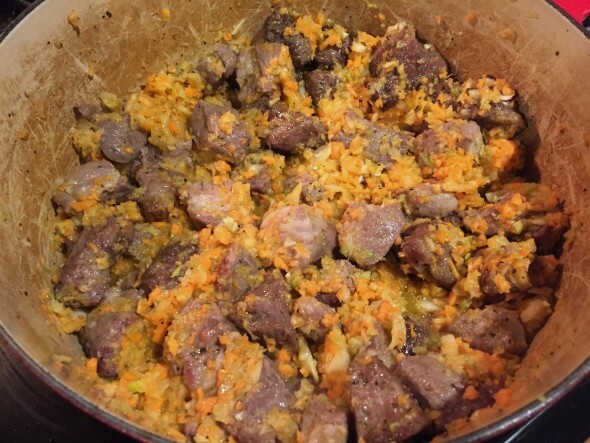 Add the carrots, celery, onion and garlic and cook until softened and browned in spots, about 8 minutes. Add the tomatoes and their juices and bring to a simmer. 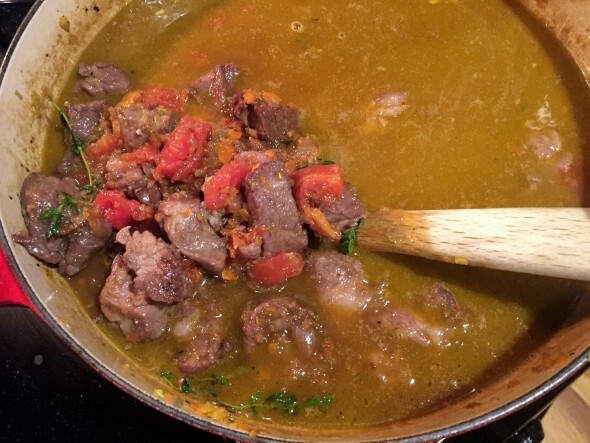 Add the red wine and thyme sprigs and cook over high heat until the wine is reduced by half, about 5 minutes. Add the stock and bring to a boil. 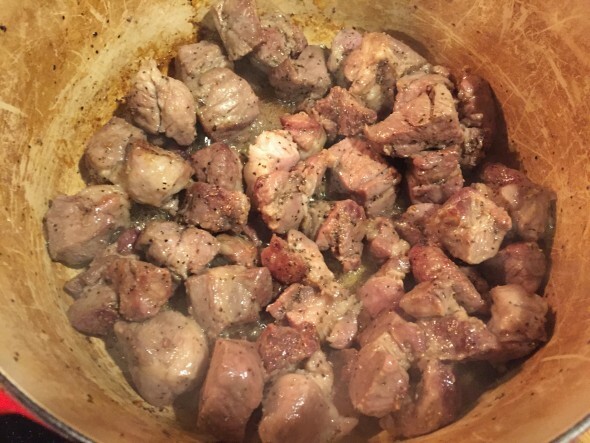 Cover and simmer over low heat until the pork is very tender, about 2 hours. Preheat the oven to 375°. 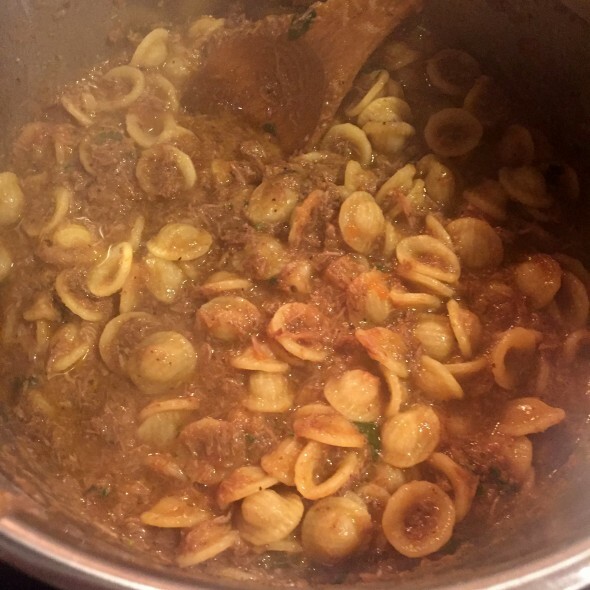 In a large pot of boiling salted water, cook the orecchiette until it is still firm to the bite, about 5 minutes; drain well. 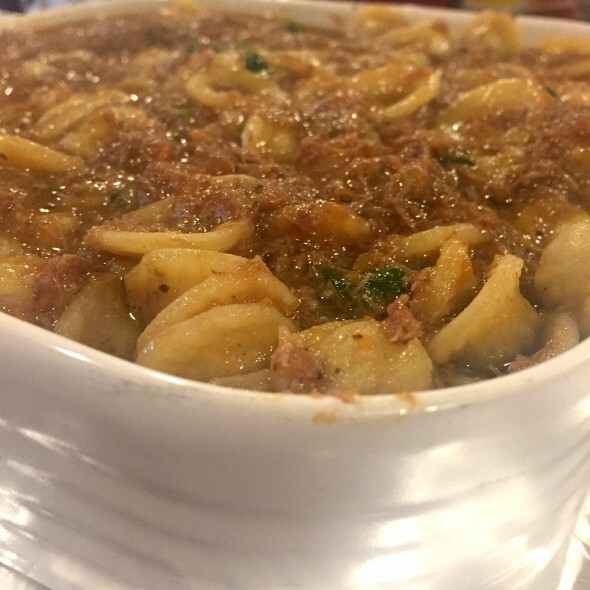 Add the orecchiette to the casserole and toss with the pork sauce. 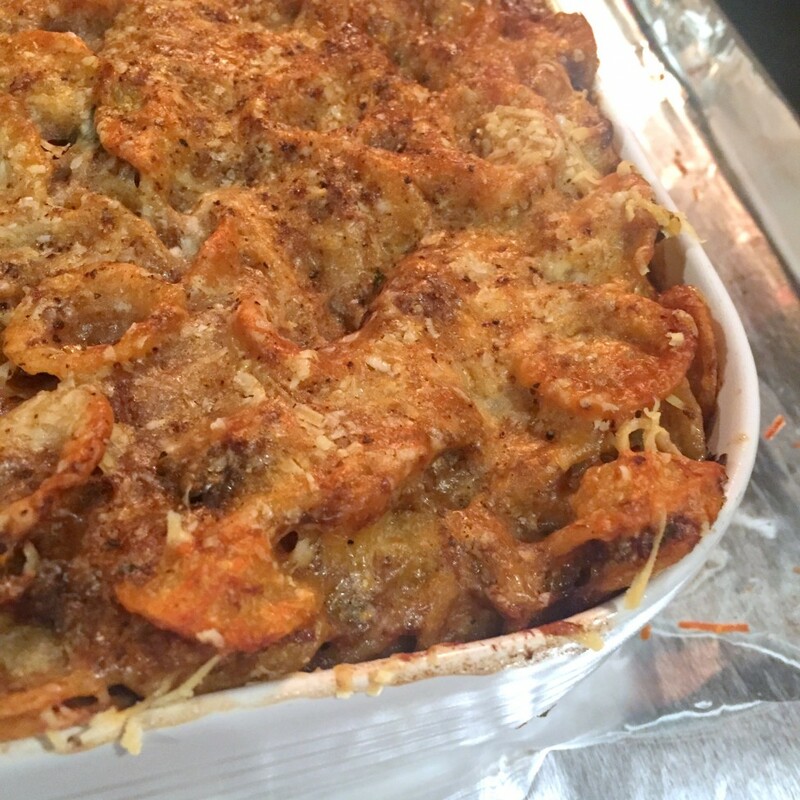 Scrape the pasta into a very large baking dish and sprinkle all over with the Parmigiano-Reggiano. 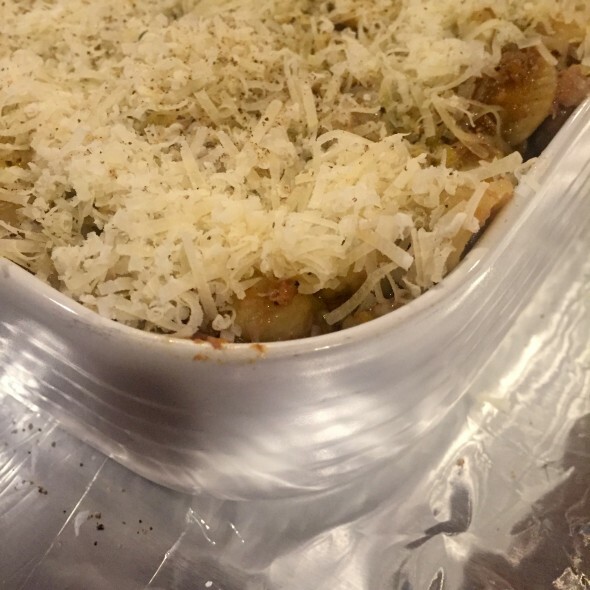 Bake the casserole in the upper third of the oven for about 35 minutes, until golden brown on top and bubbling. 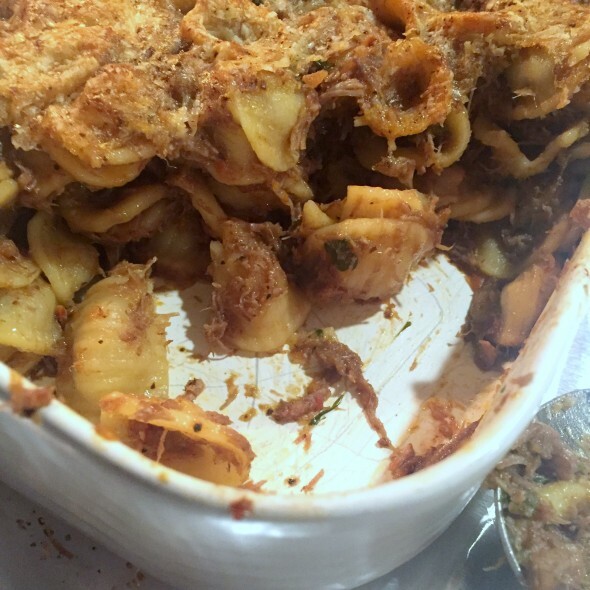 Let the baked pasta stand for 10 minutes before serving.